Even though the Unity Labour Party (ULP) administration is exploring its options in the production of marijuana for medicinal purposes, it is not currently prepared to legalize ‘weed’ for recreational purposes. “Unregulated consumption of recreational marijuana poses a number of risks and challenges that we do not currently have the data on which to make informed decisions, or the capacity to manage effectively,” Minister of Finance Camillo Gonsalves told Parliament on Monday, during the delivery of the 2018 budget address. The Minister’s comments on the legalization of marijuana for recreational use, came days after prospective New Democratic Party (NDP) candidate for South Central Windward, attorney Israel Bruce, criticized the Government for its desire to enter the medical marijuana industry, stating that the venture will not help small farmers. Bruce said that if elected, he will support weed for recreational use. In Parliament on Monday, Gonsalves said global developments and shifting attitudes have presented SVG with an opportunity to leverage its home-grown experience and expertise in cannabis cultivation – albeit illicit – into a full-fledged industry that will take advantage of the positive medicinal properties of cannabis and its ability to produce pharmaceuticals that can be used in pain management, nausea prevention, seizure suppression, and in treating anxiety disorders, certain cancers, glaucoma, insomnia, etc. He said this year, Government will continue wide and thorough consultations with the Vincentian public to canvass their views on the desirability of a well-regulated, clearly defined, export-oriented, medicinal cannabis industry in Saint Vincent and the Grenadines. Gonsalves noted, however, that while we are exploring medicinal marijuana, we must be clear-eyed and realistic about the potential of this industry, the prevalence and perception of marijuana in large sections of the Vincentian society, and the status of cannabis in our regional and international context. “For example, we must first acknowledge that, despite anecdotal claims of the superiority of locally cultivated cannabis, there is no empirical evidence to support these assertions. 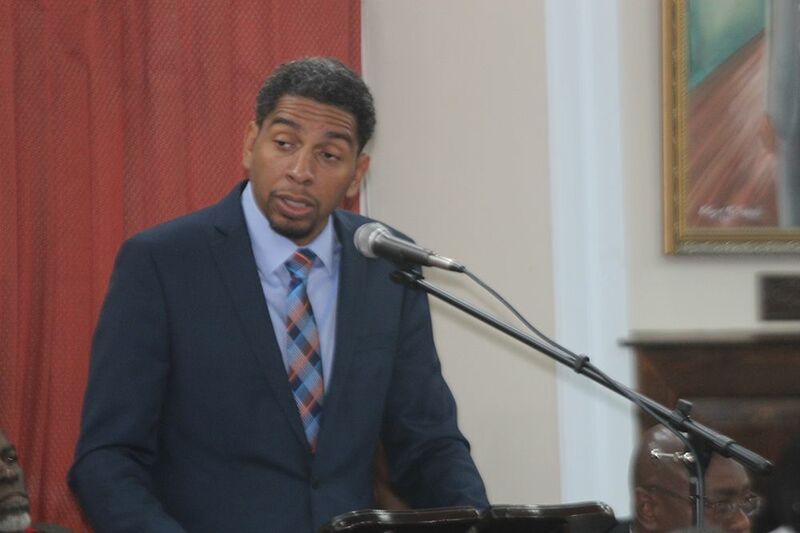 Much of the growth of the illicit trade in Vincentian marijuana is based not so much on its quality, but on our location, terrain, and multiplicity of small cultivators,” said Gonsalves. He stressed that SVG has a competitive advantage in the illicit trade in marijuana – an advantage that does not automatically transfer to legal production of medicinal cannabis. “Stripped of its illegality, cannabis becomes just another crop – like a dasheen or a banana. We must contemplate an industry that focusses not merely on the export of a raw cash crop, but rather on value-added extracts and pharmaceutical products. “Second, while there will no doubt be populist calls to ‘free up the weed’ in its entirety, further, our regular scientific polling on this issue shows a deep divergence of views on the issue of recreational marijuana in our society. We cannot responsibly ignore the deeply held beliefs of such a large section of the Vincentian public,” Gonsalves told Parliament. He added also that we must recognize that Vincentian cultivators currently produce the majority of their recreational marijuana for export to neighbouring countries, in which the recreational consumption of marijuana remains illegal; so, it would be an irresponsible act to give official sanction to flooding regional markets with a product that remains illegal in those markets.